Welcome to The Overlake School's Project Week Program! Project Week is a week of co-curricular education set aside during the regular school year. It is a time when the Overlake community recognizes the fact that education does not take place only in the classroom. Each year there are approximately 40 projects offering a wide variety of activities in the arts, sciences, service and outdoors. Such courses provide an opportunity for growth, improved self-confidence, learning, and of course fun. Project Week courses are as varied as the young people who participate in them. Project week is clearly different from our regular classroom curriculum, but it is not a vacation. Rather, it is a community effort to explore different ways of learning. It is a celebration of the belief that useful educational experiences can take place outside of the classroom and that experiential education is a valuable endeavor. Experiential Education: This is learning by doing. Students are intensely involved in a focused activity for a week. 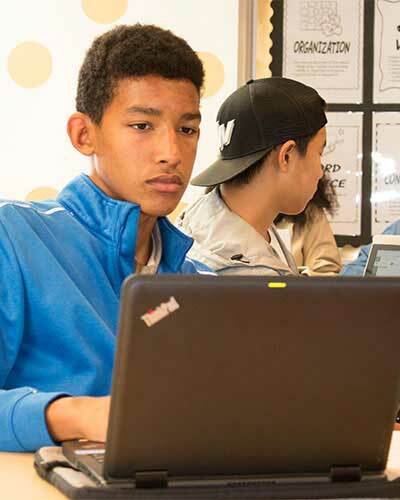 The presence of an Overlake teacher, and often other experts, ensures a quality, guided, learning experience. Challenge: Students challenge themselves in many ways. They are exposed to new activities and forced to deal with the apprehension of trying new things. Their physical and/or creative limits are stretched. Whatever the challenge may be it is posed in such a way that growth is inevitable. Group Process: All Project Week courses are group experiences. Participants get to know students of other grades, teachers, and even their old friends in new ways. Sharing and cooperation are stressed, as students are asked to work closely with others and to share their thoughts with the group. Reflection/Presentation: To maximize the student’s experience, time should be set aside both during and after Project Week to reflect on the week, which will help complete the learning experience and provide positive closure. Presentations either to the group or the school as a whole should be part of the project. 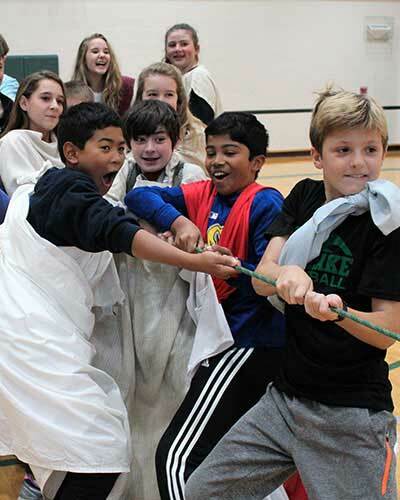 The Overlake School community considers Project Week an integral part of the curriculum, and all students and faculty take part in the experience. It is a wonderful educational experience that most schools do not provide. It is an intense week of learning, and it is fun and exciting. Financial aid is available for Project Week. For more information contact lsabino@overlake.org.